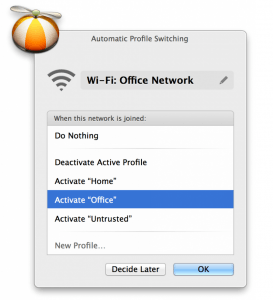 Do you want your Mac to communicate to the outside world uncontrolled, or do you want to have control over all in and outgoing connections ! 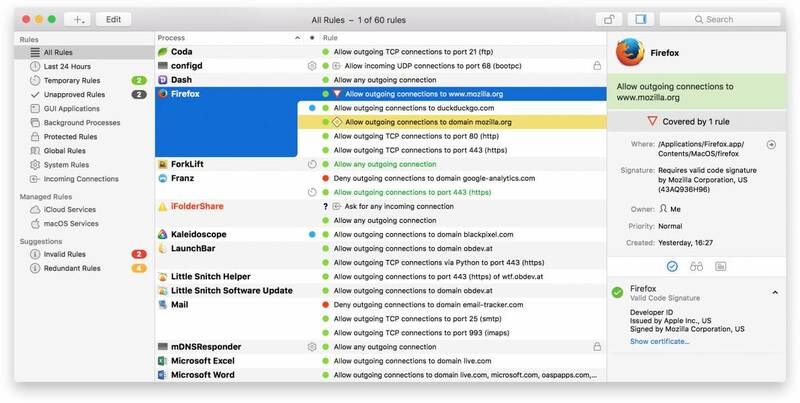 Your basic OSX firewall is ofcourse enabled in your system options, which provides you basic control over the inbound connections and services most of your software requires to function well. 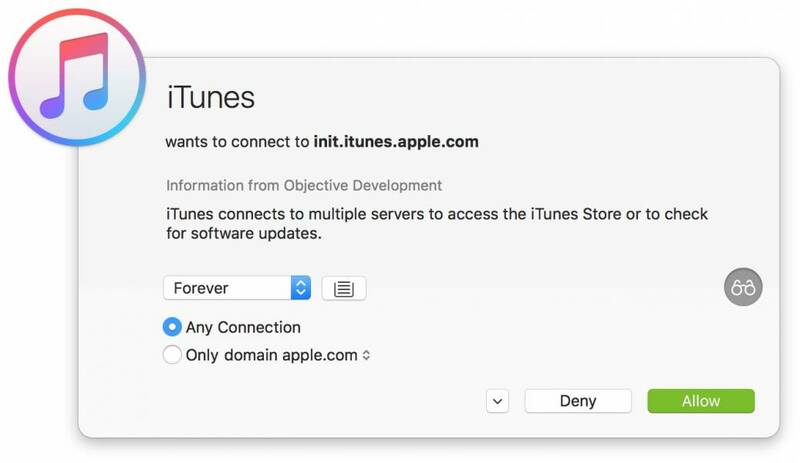 OSX Firewall however can not be configured for specific IP addresses and domains, port allowance and blocking to the internet. 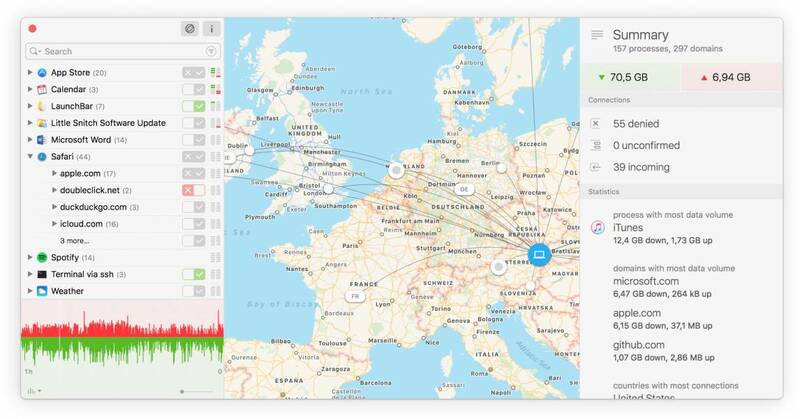 This is where software like Little Snitch will give you full control over all-in and outgoing connections and services. 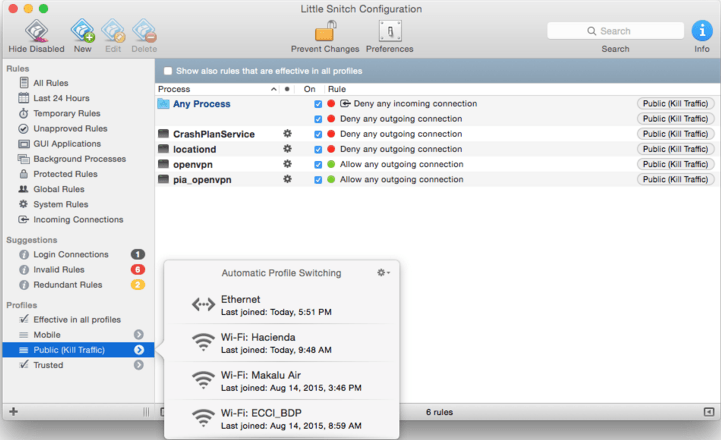 After the installation of Little Snitch, your system will reboot in order to setup the internal allowance of Little Snitch controlling your network connections. 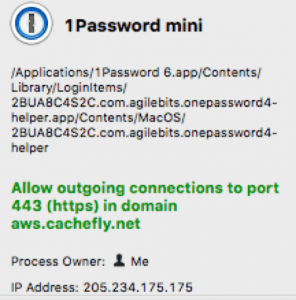 After initializing Little Snitch will detect every outgoing connection of your software or external requests. When a remote connection request is detected, a popup will ask the user to allow or deny the request. 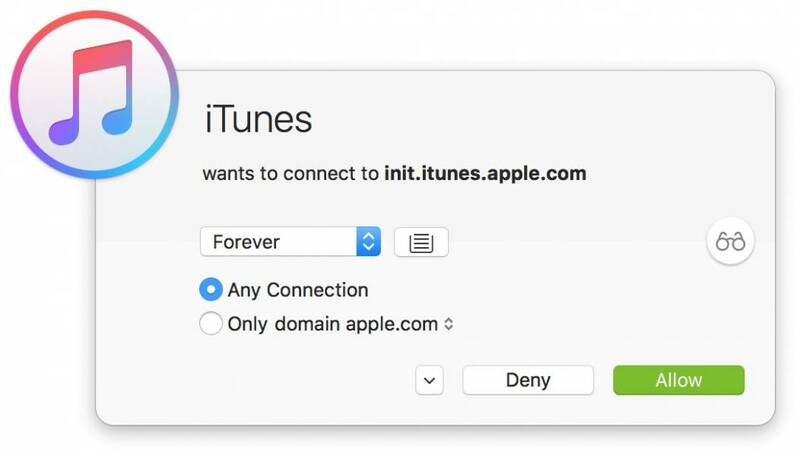 It will give you control over time and limits of the connection request. Keep in mind that allowing everything, makes you vulnerable to outside attacks. Initially most software developers use specific IP addresses, domain and port. Allow only the first initially offered connections parameters to the outside world. 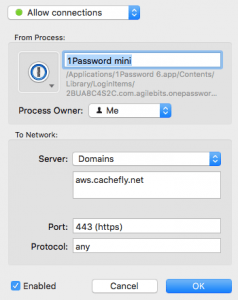 Little Snitch will detect any change of IP address, domain or port and a popup will appear to allow or deny. The main screen provides a complete overview of all connections and services active. Dubble click on a connection and you can change the settings to your desired domain and port. Also the Proces Owner can be changed from this screen. For some programs it is suggested to opt for a temporary allow, as you don’t want snooping or sniffing going on in your network after using the software program, keep in mind that not all sniffing is based on honest retrieval of information. 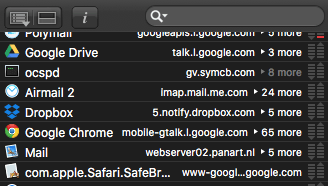 Little Snitch offers a menu bar app which informs about all in and outgoing traffic from your computer / router / network. 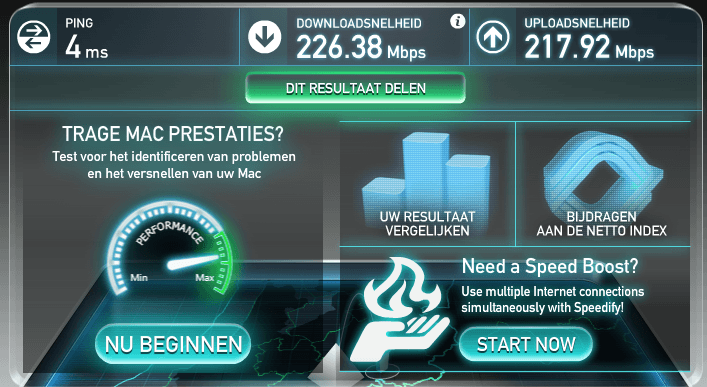 The window shows every recently active program, a gauge of recent bandwidth consumption, and all the host/domain combinations to which each program has connected. Click any app to view a historical bandwidth-usage graph. 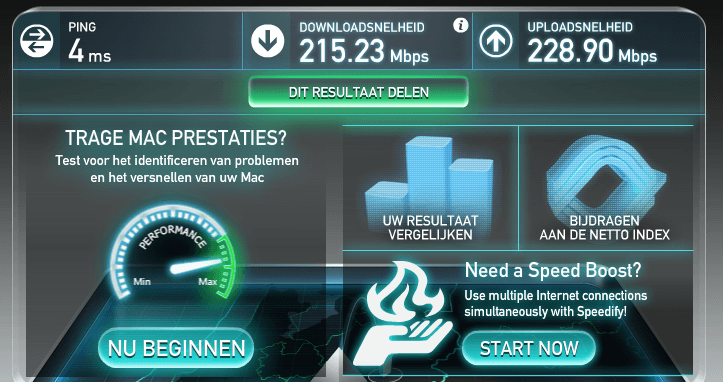 I wondered if using Little Snitch had any impact on my network and connections so I ran a little test on Speedtest.net. 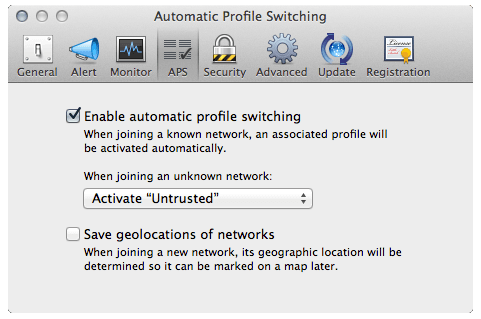 The first time you connect to a network, connect to a VPN, Little Snitch presents you an alert which lets you define the profile to be activated automatically the next time you join the same network. Of course, this also activates the profile right when you click the OK button. While the alert is shown, no network traffic at all is allowed – not to the Internet, not to the local network – regardless of any rules you have defined. Now you can decide which one of your existing profiles to activate, to simply do nothing – leaving any currently active profile active – or to create a new, empty profile altogether. 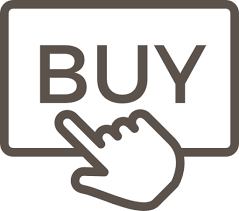 Should you buy this software, is Little Snitch really neccesary? Thats for you to decide. But if you want to stay safe and have control over your internet/network traffic this software package is the best on the market. Most home users are behind NAT routers, which effectively blocks direct connections from the Internet. Companies, are more likely to have Internet-routable addresses, with an the IPv6 network-addressing which makes computers vulnerable to threats. Little Snitch helps in all these scenarios, it identifies and alerts you to new connections—or lets those connections pass if they meet existing rules. Little Snitch security software is recommended to all users, from beginner to super advanced.